This one kind of jumped up on everybody last week I think. And it was a great surprise. Blake Shelton is just a pro these days. He has made finding hit songs routine and that’s not easy. And I’m sure he doesn’t take it for granted. The new song is a pretty clever twist on words. I never thought I’d hear a love song that uses words about naming dogs and crickets and frogs. 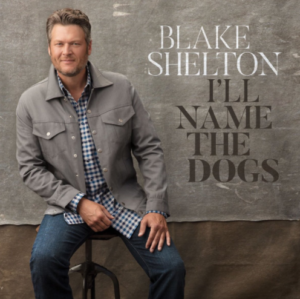 Predicting that a Blake Shelton song will go to #1 on the radio charts is like predicting that my Green Bay Packers will sellout their next game. But I’ll go ahead and say that this one is a smash. The one thing I can never really tell is what songs will become long-term songs. The ones that people will play and request 20 years from now. It seems like this could be that kind of song, but I’m never sure. The song is about a guy that’s ready to take the plunge with a girl. They’ve been spending time together and falling in love and all that stuff. He’s maybe not 100% sure how to let her know just how much she means to him. But he does the best he can. And he uses the idea of naming as the way to get the message across. Living on a street with the same name. She can name the babies and he can name the dogs. Whatever it all means it’s a request to spend the rest of their lives together.